Students who have had continuous enrollment at Galveston College are considered “Current Students”. Current students do not have to apply or reapply for admission unless a break or gap in enrollment occurs (summer semesters are not included). Galveston College recommends that all Current Students review their degree progress with a Counselor or Advisor prior to the beginning of each semester. Students are also advised to pay close attention to deadlines and review the Academic and Semester Calendars regularly. The right to file a complaint with the Department of Education’s Family Policy Compliance Office concerning alleged failures by the college/university to comply with the requirements of FERPA. For more information go to the FERPA section of the Department of Education’s website. All entering students are required by the State of Texas to have been vaccinated against Bacterial Meningitis. Click here for more information. For information on requesting a transcript, please visit our Transcript Request Page. 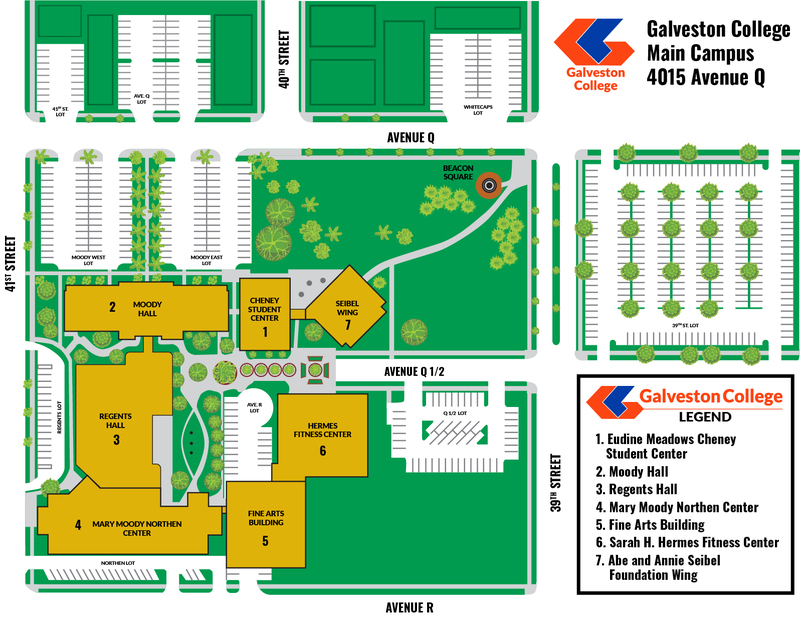 The Galveston College Catalog is the official source of academic standards, course descriptions, degree requirements, and other important academic and student information. Please visit our Catalogs page to view current and/or archived catalogs. Students may elect to audit a course – that is, take an undergraduate course for personal enrichment – with permission from the Vice President of Instruction and course instructor. Audited courses carry no credit value and cannot be used to fulfill certificate or degree requirements. Students are responsible for paying full tuition and fees for audited courses. Obtain a “Request to Audit a Course” form from the Admissions Office (M-160). Secure signatures from the Vice President of Instruction and each instructor for the course(s) to be audited. Return the “Request to Audit a Course” form to the Admissions Office. After the regular registration period has passed, the student will be registered for the course only if space is available. After being registered in the course, contact the Business Office to make payment in full. Please note: Audited courses are designated on the student’s transcript with a notation of “AU” in the grade column. 7:30 a.m. to 6 p.m.
© 2019 Galveston College is an equal opportunity institution in education and employment. It is the policy of Galveston College to provide equal opportunities without regard to age, race, color, religion, national origin, gender, disability, genetic information or veteran status. Please contact our Digital Communications & Web Services Manager with any website concerns or issues.